Chain Size: 18" 14K Gold Plated chain With a Lobster Claw Clasp for a Secure Closure. This delicate Crucifix Necklace has a beautiful design with black enameled accents and a high polish finish. The crucifix is delivered on a quality 18" 14K Gold Plated Chain with lobster claw clasp. 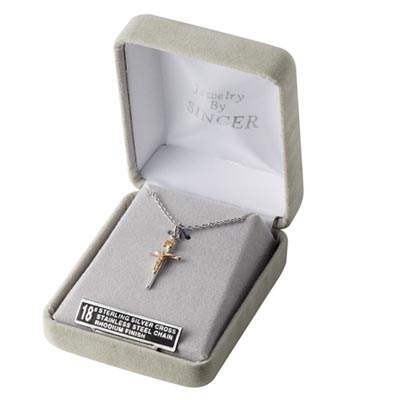 As all our jewelry the crucifix pendant is delivered in a velour gift box.